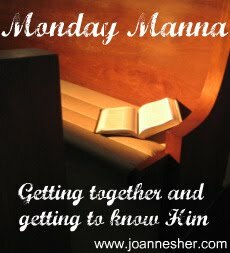 On the first and third Mondays of each month, anyone who wants to participate can post their thoughts on a specific verse--posted here at my blog on the Thursday before, to allow you to chew on it over the weekend. It doesn't have to be long -- just a few thoughts, a picture you feel helps express it, a poem, a short story, a devotional. Just post it on your blog on Mondayish (early OR late is fine, by the way! ), then come back here and link up in the Linky Tools gadget that will be at the bottom of MY post at o'dark thirty that morning. During my daily Bible reading, I have been in the book of Psalms for the past several weeks. One verse in particular hit me the other day, so I thought it would be perfect for this weekend's pondering (and Monday's reading/writing!). 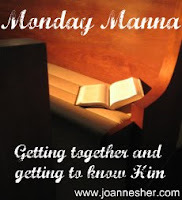 Hope to see you Monday! Can't wait to get insights from each of you! The Psalms is my favorite book of the Bible, and this verse in particular has brought me a lot of comfort over the years.